Portuguese sweetbread from Silver Star Bakery. After a disappointing brunch at the English Muffin in Johnston, I decided to console myself with breakfast for dinner. What I craved was the challah french toast from the Waverly Diner in New York City. Since I didn’t know where to get such a thing in Rhode Island, I decided to make it myself. So, on our way home from breakfast, I stopped at Seven Stars Bakery for some challah. But, as it turns out, they only bake it on Fridays. I guess in Providence (or at Seven Stars, at least), challah is reserved for Shabbat — not so in New York. 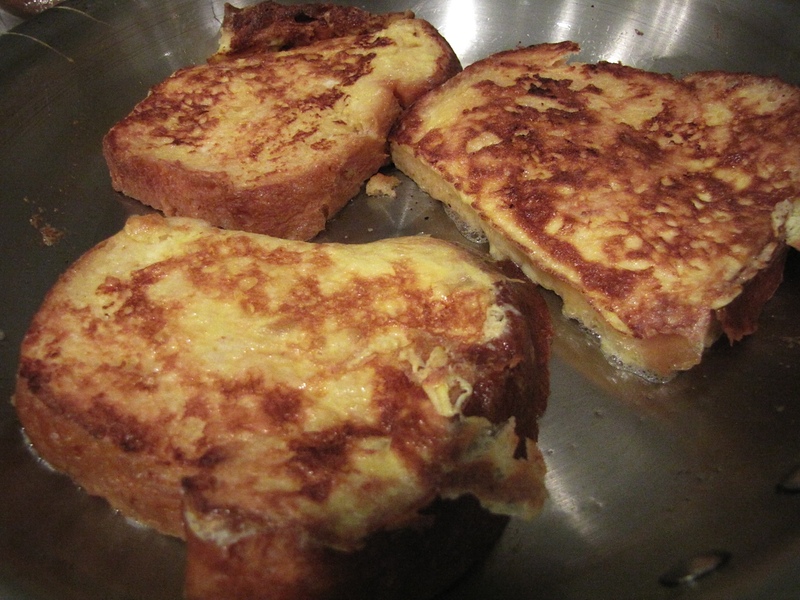 As it turns out, Portuguese sweet bread makes some wonderful french toast. So instead, I bought a loaf of the Portuguese sweet bread from Silver Star Bakery — which as its name implies is slightly sweet. 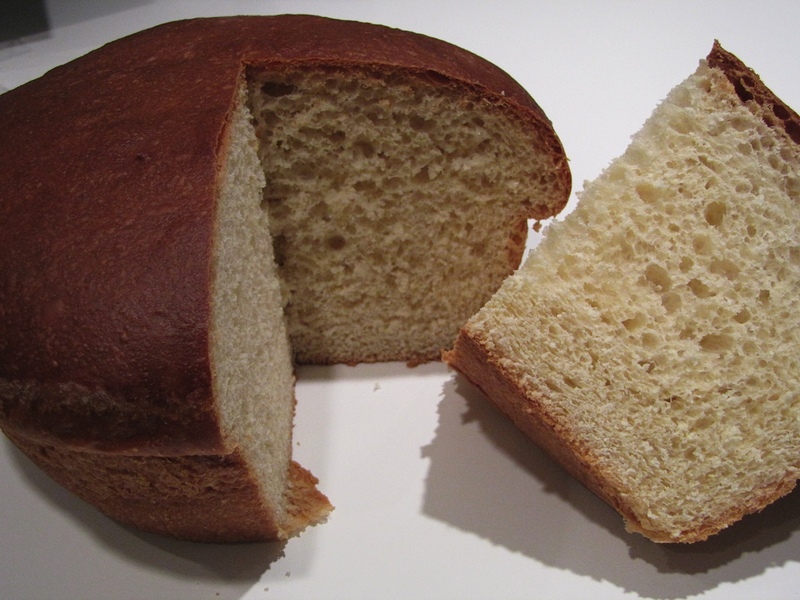 There are many renditions of the egg bread, all of which I love — the French brioche, the Jewish challah, the Italian Easter Bread (with anise), and now, the Portuguese sweet bread. Of course, Silver Star Bakery sells quite a bit of other tasty treats besides sweet bread including cavacas (a sweet, iced version of the popover) and nata (a custard in a pastry shell). So even if it’s something other than challah French toast you’re after, it’s worth a visit.